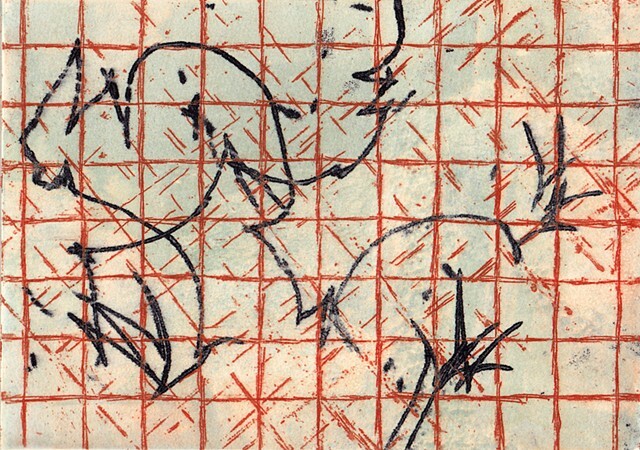 This print is one of a series based on a copper etching of a wire grid. Here the copper plate was inked with red oxide ink. The hand drawing was added along with layers of other inks before the plate was printed.